Women's Executive Network - Streetcar Crawl Through KC! Name: Women's Executive Network - Streetcar Crawl Through KC! 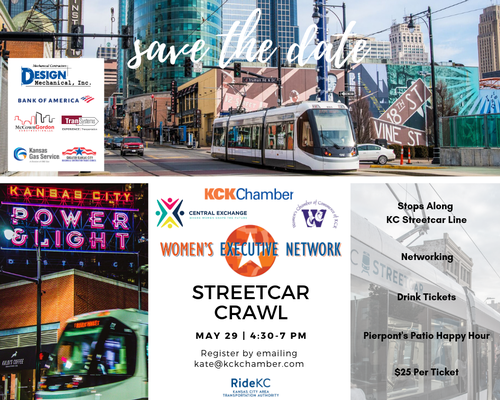 The KCK Chamber Women's Executive Network, in collaboration with the Central Exchange and the KCK Women's Chamber of Commerce, is excited to announce its 2nd signature event of the year - a Ride KC Streetcar Crawl through Kansas City!